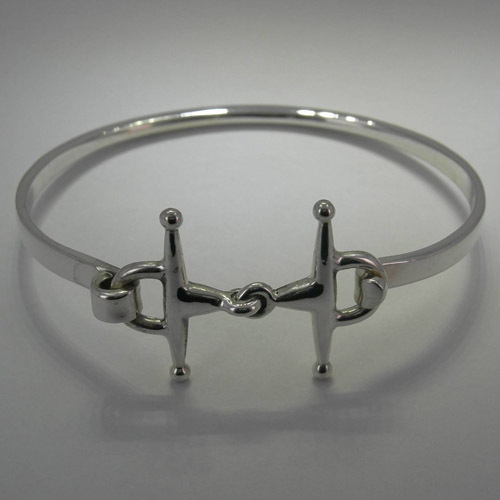 Desc: Sterling Silver full cheek snaffle bit bangle bracelet. The full cheek snaffle bit is mounted at the apex of the bracelet. The bracelet has a bright polish finish and is made in the United States of America.